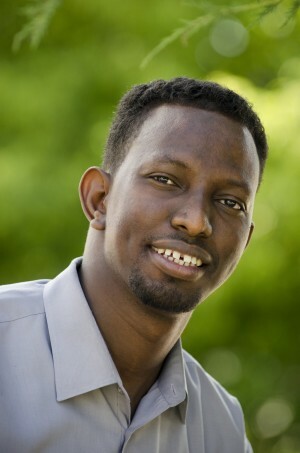 When Ibrahim Hussein arrived in the U.S. from Kenya in 2007, he saw a need for better education among Somali youth in the small Minnesota town of Owatonna. The realization led him to create to Somali American Cultural Society of Owatonna (SACSO). Now a 501(c)3 organization, Hussein began the project with little more than an idea and a small team of volunteers. He recruited volunteers from local organizations and churches and used is connections through his work as a part-time Liaison at Owatonna junior high schools to spread the word to students. Today, SACSO offers tutoring to more than 20 students every week, focusing on Somalis but welcoming students from any background. Hussein had to set up his organization with virtually no resources other than his networking connections within the community and his personal determination to make the project happen. He emphasized the importance of asking for help, among friends, professional connections and colleagues. Hussein’s connection with the school district was vital in that it allowed him to reach Somalis and their families who were otherwise not heavily involved in the community. He found volunteers by getting the word out at local Lutheran churches and contacting the local paper to get a notice out about his organization (see sidebar on volunteer recruiting). Once he had gathered these connections he was able to secure a $5,000 grant from the Southern Minnesota Initiative Fund (SMIF). Hussein acknowledged the difficulty of obtaining a grant if an organization has not obtained 501(c)3. Status. He explained that the best way to go about doing so is to prove that a need for the organization’s services exists in the community. In this case, Hussein saw a need very clearly. “In Africa, they look at how much students know, not how old they are,” Hussein explained. The result was that students with little to no education or knowledge of English were placed in classes years ahead of them. SACSO plays the vital role of helping these students catch up to the level of their classmates. Another avenue to obtaining a grant as a 5-1(c)3, according to Hussein, is to piggyback on the organizational capabilities of other 501(c)3s. An organization can write grant proposals for projects on behalf of a 501(c)3 and establish itself with the aid of its partner organization. Now that SACSO has obtained 501(c)3 status (see sidebar on the 501(c)3 application process), Hussein has become an established community leader among the Owatonna immigrant population, as well as in the school district. In 2012 he was one of six people to receive the Virginia McKnight Binger Award for Human Service from the McKnight Foundation.